Whether you’re sitting down and waiting to queue in your favorite MOBA or have some time to spare on your train commute to work, why not bust out a puzzle game to pass the time? For me, I usually wake up and play something that gets the ol’ noodle goin’, whether it’s Heroes Of The Storm, or just a random puzzle game to get the brain juices flowing. 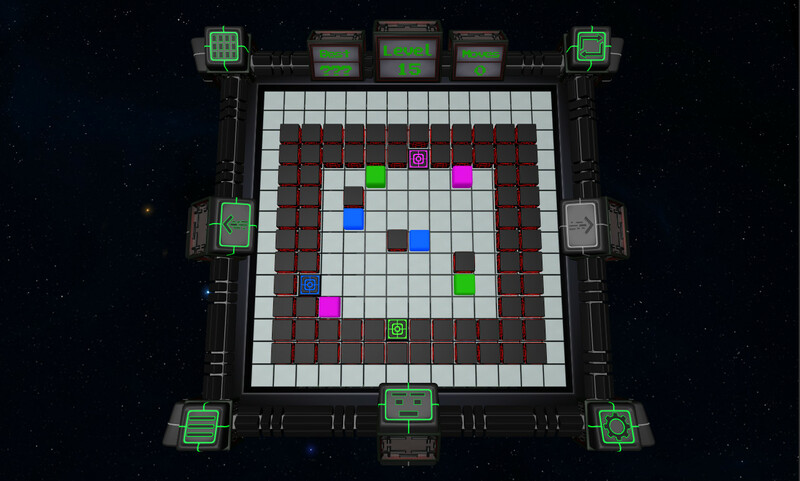 Looks like I found a new wake-up game, in the form of Omnicube from Trykon Studios. This puzzle game, with it’s polished aesthetic and heavy ramp of a difficulty, aims to do just that: stir up your brain until your it says “Holy hell OK, I’m awake!”. With a cute little animated intro, Omnicube essentially sets up right away with a story that the cube itself needs you to solve its own puzzles to find its way home. While puzzle games typically don’t really need a story to progress (Hi, The Witness), Omnicube does a decent job of just having a quick tale of what needs done, and getting right into the gritty. The premise is simple: slide colored blocks into their respective slots. Sounds simple? Nuh uh. They add mechanics like blowing up certain walls and the fact that it counts how many moves you use for each solution. This adds the layer of mobile achievements. Those who remember the ice and curve levels in Chip’s Challenge back in the day will know this type of puzzle. In addition, the user interface set up is really well done, although there’s no ‘call to action’ to let you know the arrows on either side let you progress to the next puzzle once finished. Otherwise, Omnicube has a tactile feel and everything about the UI just makes sense. The difficulty, on the other hand, is simply mind-numbing. I’m currently stuck on level 12 and it seems a long way to go to the 60 levels that’s contained within Omnicube. 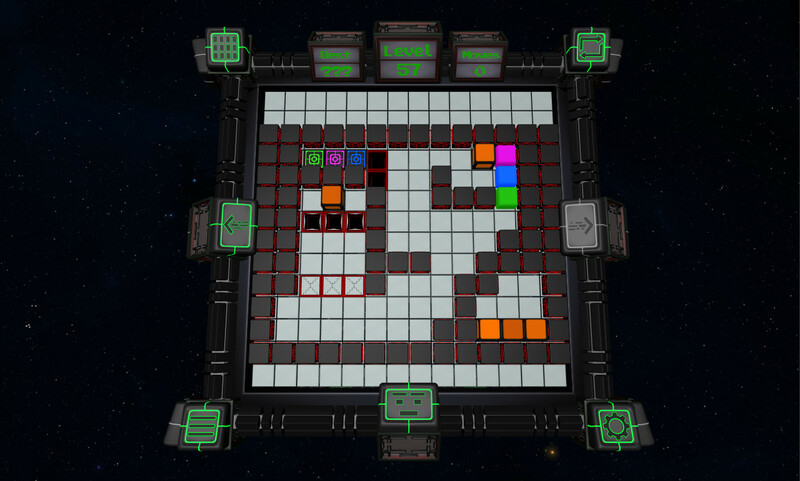 At the end of the day, Omnicube is a great game to wake up with if you enjoy waking up your brain with puzzles while you wake up your body with coffee. At $6.99 US, you really can’t go wrong with a decent puzzle game, despite it being more suited for mobile. However, there’s no micro transactions, it’s just straight puzzle-solving awesomeness. Go grab it and let us know how far you get! I’ll be waking up with it for the next few weeks until my brain is mush. In a good way!